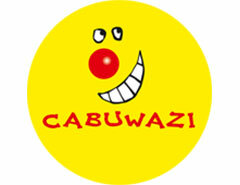 Next to regular trainings, CABUWAZI organises shows, holiday camps, co-operations with refugee accommodations, schools and nursery schools, international youth exchanges and circus pedagogical trainings for teachers. The activities of CABUWAZI in Berlin are based on the idea that people, and children in specific, need to build up social competences in order to build up a stable and safe environment. Circus is an artform, a way of expressing that goes further than the spoken language. Together with the physical development of the body that circus provides – strength, balance, coordination … – it demands a certain trust in yourself and the others. We teach this trust through games, training and performances, and all of this as group activities. In this way, we can give the children the opportunity to find for themselves who they are and help them build up these needed social skills.